Anritsu Co. introduced an electromagnetic field (EMF) radiation measurement system for its Spectrum Master™ MS271xE handheld spectrum analyzers and Cell Master™ MT8212E/MT8213E base station analyzers. With the option installed and an Anritsu isotropic antenna attached, the analyzers can be used by field technicians of government regulatory authorities and cellular operators to measure electromagnetic fields, ensuring wireless networks are in compliance with various national standards for personal safety. Aaronia AG offers new, high quality magnetic field antennas of the MDF series, usable for signal direction tests and field strength measurements. Available in 5 different versions (2 passive, 3 active) the MDF covers an extremely wide frequency range from 9 kHz to 400 MHz. API Technologies Corp. now offers a Night Vision Device (NVD) test set that helps military personnel determine the quality of function of standard Gen II and Gen III night vision devices. 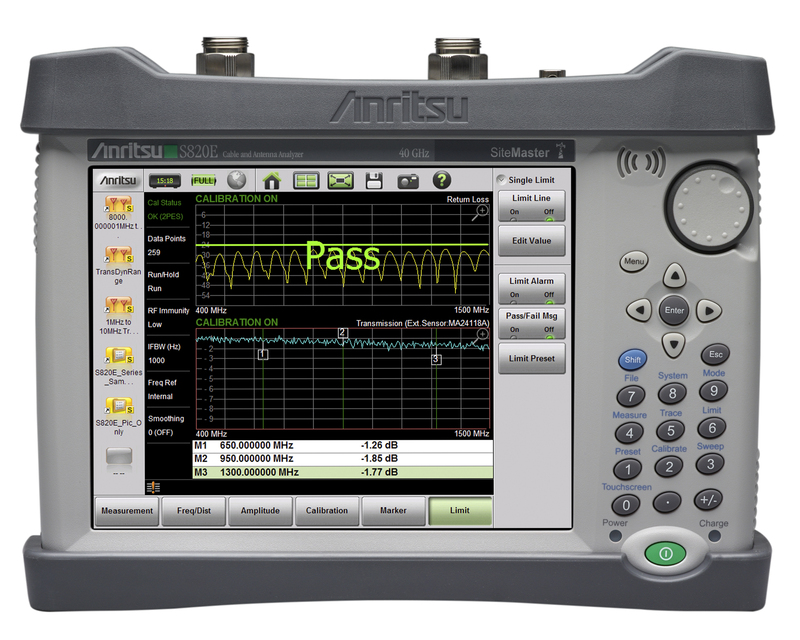 Anritsu Co. introduces the Microwave Site Master S820E, the world’s first handheld cable and antenna analyzer with frequency coverage up to 40 GHz, which continues Anritsu’s leadership position in the handheld analyzer market it established with the first broadband Site Master over 15 years ago. Anritsu Co. introduces three frequency options for its industry-leading PIM Master MW82119A Passive Intermodulation (PIM) high-power, battery-operated, portable PIM test analyzer. The new options provide wireless field engineers and technicians with the first battery-operated handheld analyzers that can accurately conduct “top of the tower” PIM measurements in the LTE 800 MHz and UMTS 2100 MHz bands, in addition to the LTE 2600 MHz band. Pulse Electronics Corp., a leading provider of electronic components, introduces an ultra-thin near field communications (NFC) ferrite sheet antenna. The antenna is 28 percent thinner than the previous version and still meets the EMVCo specification of 40 mm. It enables NFC connectivity to mobile devices for payment sharing, credential storage and exchange, accessing and controlling data, and wirelessly connecting to tags. Agilent Technologies Inc. introduced a pulse measurement option for its FieldFox handheld analyzers that is designed to further simplify radar field testing.